Ladies Who Lunch is a weekday lunch-time networking series of events supporting our local women-run businesses. Take your lunch break and grab a bite to eat with us. Learn a new skill, visit a new venue, or just come for the community and networking! These events have limited availability, so RSVP quickly! Click here for our calendar of events to see upcoming Ladies Who Lunch events. Want to host a networking event? 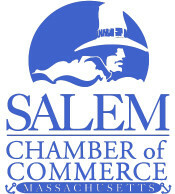 Send us an email with your idea at info@salem-chamber.org. Interested in sponsoring? Contact Salem Chamber at 978-744-0004 or info@salem-chamber.org for levels and to reserve your spot now!